I need to cut back on sweets and starches. I’ve been hampered by the fact that starches are the most digestible thing for my body’s version of ulcerative colitis, but I have to push the envelope and get away from it. The weight just isn’t healthy at my age or with my history of high blood pressure. The buck stopped yesterday morning. I ate perfectly yesterday, for the first time in probably over a year. Here’s what I’m doing to change my diet. I don’t use the term ‘dieting’ because that suggests short term. This just can’t be short term anymore. It has to be long term. Perhaps as I get closer to my goal weight, I can loosen up once a week or so for a dessert, but not until then. I eat lots of meat, first and foremost. I am going to try and eat more veggies and fruits to a lesser degree. Raw produce is hard for my UC, but I’m going to try and get at least a couple of salads in a week, and 1 serving of fruit per day, if I can tolerate it. The rest of my veggies will be well steamed or baked. 1-2 servings of hard cheese a day. (I can’t handle dairy other than hard cheese and a splash of organic half and half once a day in my decaf coffee.) A small handful of nuts 1-2 times a day. (4-6 nuts an afternoon will be one of my few allowed ‘snacks.’) Back to the good habit of if I eat lunch out at work, I intermittent fast the rest of the day/have no dinner. Plenty of water. No chips. No donuts or pastries. No chocolate. No desserts. No more than 1 serving of starch, up to 4 servings per week. So that’s the game plan. I’ve learned not to get much more specific than this on the blog, or it brings out the passionate devil’s advocates that love to put down other people’s plans if they don’t follow their own. So no specifics on weight, no daily details on foods eaten, etc. Just general summaries. So if anyone wants to join me in trying to lose weight and/or eat better, let’s pump each other up! We can do this!!! This entry was posted in Uncategorized and tagged Healthy eating, Losing weight, weight on January 20, 2018 by Silver Willow. I'm on the same wave length has you are. My approach is a little different but we can both get where we need to go. The main thing we have to remember is if we slip up, to get right back on the better eating train and don't beat ourselves up over it. I am not snacking, eating one serving at meals, no desserts, lots of veggies. Good luck with your plan! Excellent plan. 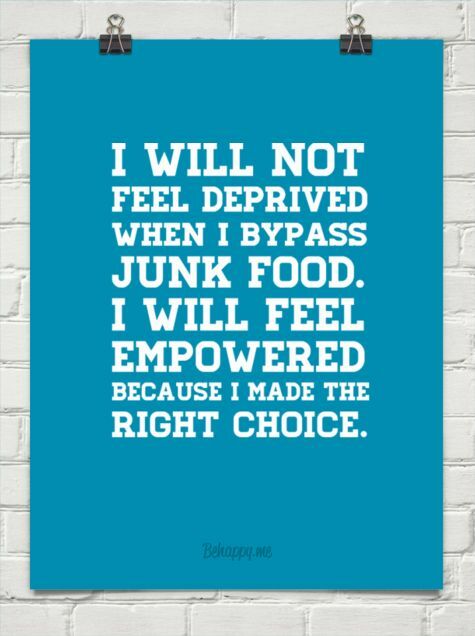 The old saying “we are what we eat” is so true and it is the one thing we actually have control over. Can't do much about genes or politics but we can control what we chew. Wishing you the best. Good plan! Have you investigated using a phone app to help you keep track of your calories? I've had good luck with My Fitness Pal. May the force be with you! Good for you for being proactive with your health. Sounds like an excellent plan. Sounds ok food to me because it's what I eat but I do have dessert which is usually fruit with a wee bit of ice cream :)Have fun and hope all goes well. Sounds like a solid plan, Marie, and pretty much the same as me! Good luck! Good luck, Ann. Could you maybe substitute the cookie with a slice of favorite cheese, or a few nuts that you like? Olga, I'd make that deal with you every day and twice on Sundays, LOL! Good luck! That is true! Thanks, Patti! I've spent the better part of my adult life dieting, so I know calories well, Kathy. I am more invested in keeping track of carbs, and I can do that in my head very well. Glad MFP is working for you! Glad you found a method that works well for you! But we will have to agree to disagree on methods. Sugar is the No. 1 inflammatory food source. Processed food chemicals No. 2. Modern whole wheat #3. All the studies and many physicians and cardiologists believe that a fat-centric diet plan like low carb, paleo, or even Keto is best for most humans. Veggies are important, but plenty of proof now that so is healthy fats, meats included, are as well. So again, we'll just agree to disagree, because now that I have ulcerative colitis, like thousands of sufferers, produce is the one of the most inflammatory of foods of all for us, because of the damage it causes us while we try to digest it. There really is no one-diet-serves-all-the-same…. I hope to get to the point of a dessert once a week or so, but that might not be for a few months. Hey, if it works for you (and I don't count fruit as dessert, but clearly I should, LOL)….fantastic! I wish you luck too. I'm having problems with sweets. Sigh…. I'm trying to do the same — and I was doing well, till we went away for the weekend. Back to it today. I try to keep carbs down, too. However, I've learned that I can justify 'one more bite' way too often. Seeing the nutrition data in black and white helps me step away from the temptation.